Laser Deposition Technology (LDT) is a process in which metal powder is injected into the focused beam of a high-power laser under tightly controlled atmospheric conditions. The focused laser beam melts the surface of the target material and generates a small molten pool of base material. Powder delivered into this same spot is absorbed into the melt pool, thus generating a deposit that may range from 0.005 to 0.040 in. thick and 0.040 to 0.160 in. wide. The resulting deposits may then be used to build or repair metal parts for a variety of different applications. For a more detailed explanation of the process, view our On-line Video Presentation. Laser Deposition Technology (LDT) is a blanket name that encompasses many "like" processes—direct metal deposition (DMD), laser additive manufacturing (LAM), laser metal deposition, and others—that use a focused laser beam as the heat source for depositing powdered metals. There are three main areas where LDT can be used in industry and manufacturing. 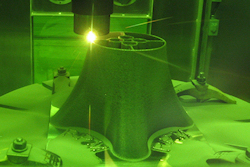 Laser Repair Technology (LRT)—the repair of worn components. When operating any type of mechanical equipment with moving parts, repairing or rebuilding worn metal components is part of everyday life. Repairing worn components typically saves dollars over purchasing new ones. LRT makes it possible and cost effective to repair parts that were previously unrepairable. 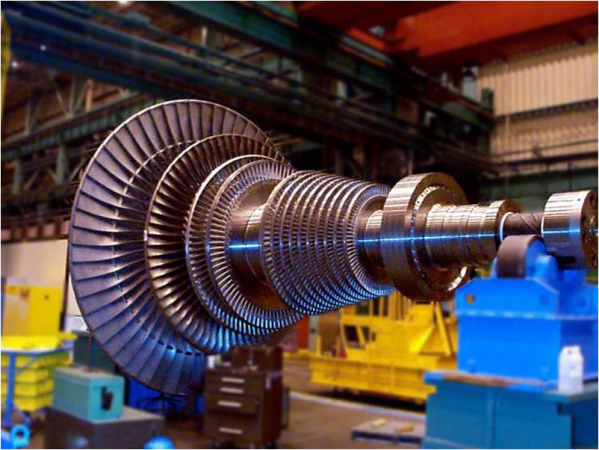 ---LASER CLADDING TECHNOLOGY (LCT)—the application of cladding materials. LCT is a process that repairs surfaces on parts by first machining down the worn surface and building it back up by depositing cladding material in thin layers to restore the worn surface. Bearing, seal, and coupler surfaces on shafts typically considered nonrepairable are great candidates for the LCT process. Laser Freeform Manufacturing Technology (LFMT)—performing near-net-shape freeform builds directly from CAD files. LFMT process starts with a CAD drawing of a part. From this electronic drawing, a tool path file is built. The laser deposition system then builds the part, layer by layer. LFMT can build complex shapes, prototyping and manufacturing some parts in far less time than any other technique. RPM Innovations currently has three separate Laser Deposition Technology Systems. Laser Deposition Technology (LDT) has many benefits over more traditional welding and manufacturing techniques. The LDT process creates a metallurgical bond which is much stronger than the mechanical bond created using spay welding or plating techniques. The LDT process creates very low and controllable heat input with minimal dilution and heat effect zones.